As people advance in age, dietary needs change and healthy eating for old people plays an essential part in maintaining good health throughout their golden years. An excellent website for help with learning how to eat properly as you age and to become familiar with general guidelines and nutritional needs is found at Help Guide. This excellent website on nutrition explains the importance of proper diet and has plenty of strategies and tips for healthy eating. There are also sections explaining the basics of proteins, the difference between good and bad carbohydrates and fats and the role of sugar and salt in your diet. An excellent resource for healthy eating guidelines is the USDA's ChooseMyPlate.gov. Often older citizens experience problems that cause difficulty with proper senior nutrition. The following list includes obstacles many seniors must overcome to maintain optimal health and wellness. Major lifestyle changes such as the loss of a spouse, financial challenges or decreased physical ability from an illness or medical condition. These lifestyle changes may cause emotional problems including depression and loneliness which affects the desire to eat. Some may have a loss of appetite while others may overeat using food to fill the emotional void. Many seniors who find themselves alone don't know how to cook for one or do not want to bother with all the work and mess involved in cooking for one person. Finances of some older people stop them from being able to purchase foods they need for a balanced healthy diet. Metabolism is affected by aging slowing it down each year once you turn approximately 40 years old. This generally causes weight gain if you continue to eat as you did when you were younger. Older people usually have a lower activity level than they did in their younger years causing them to burn fewer calories which may lead to weight gain if their diet is not modified. Aging affects your sense of smell and taste. These senses diminish with age making foods taste and smell less appetizing. Some seniors increase their use of salt to bring flavor back to their foods which can be dangerous at this time of life. The digestive system changes as you get older generating less stomach acid and saliva making it more difficult for your body to get the proper amount of many vitamins and minerals from food you eat. 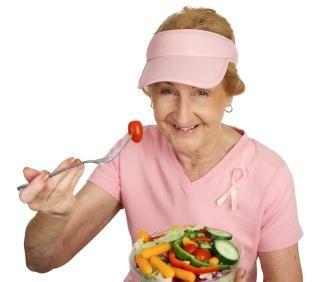 The following websites offer more information on healthy eating for older adults. It is essential for the elderly and their families to understand the importance of healthy eating for old people. A balanced healthy diet combined with an active lifestyle is a key in helping to keep both the mind and body in the best possible condition throughout the retirement years. Always speak to your medical practitioner or dietitian if there are concerns about a healthy diet or nutritional needs.